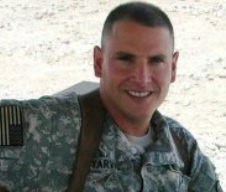 COL Jeffrey Yarvis, Deputy Commanding Officer, Chief Operating Officer, SVP at Carl R. Darnall Army Medical Center joins Military Network Radio by request, following his previous half-hour show about Intimacy with PTSD. Jeff presents a series of topics related to life after deployment — and what is officially called Transmission of Trauma. His outlook: talking about what others avoid helps families regain solid communication, enjoyment with each other, and improves quality of life. We discuss all warriors, female warriors, and children’s reaction, plus the essential value of a treatment plan and therapist that provides a “goodness of fit”. When the fit is good, the outcomes are often better and therapy less a chore than a positive choice. Join us for a lively discussion of a better Life After Combat! Listen Live by clicking below or download 24/7 here: http://bit.ly/TraumaShow. Also available in iTunes under Military Network Radio. Air date 23Feb2016.